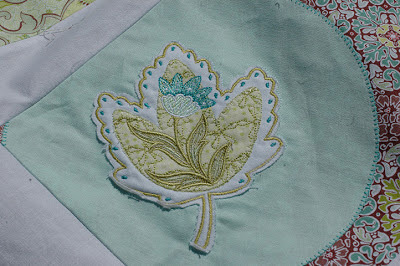 Today my Modern Blossoms collection is debuting on Bernina’s We All Sew blog! 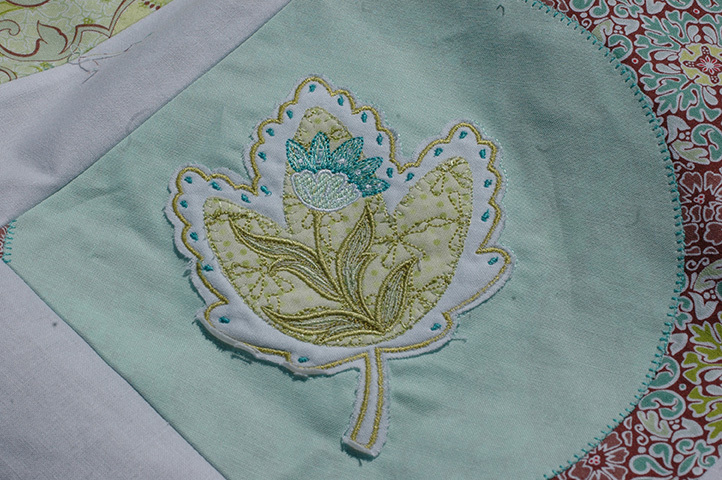 Modern Blossoms was inspired by my Bella line for Blend Fabrics, but these pictures show it embroidered on Bonjour, Mon Ami, which ships this month, and I think that they work really well together. 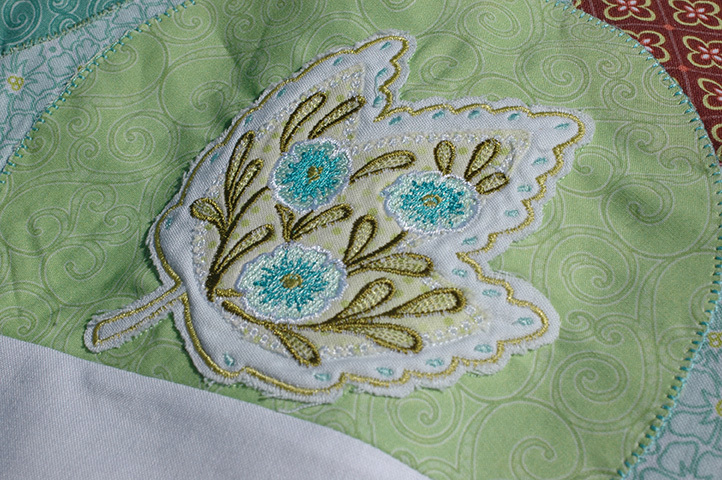 The designs were digitized by OESD and are being marketed exclusively by Brewer Sewing. I’ll have 5 new patterns debuting at Market and all will have the option to incorporate a feature print or embroidery – should be fun! Hope you like Modern Blossoms! P.S. The winner of the Michael Miller red and aqua bundle that I used for Crossroads in Modern Holiday was Rita in Alaska. Congratulations Rita! 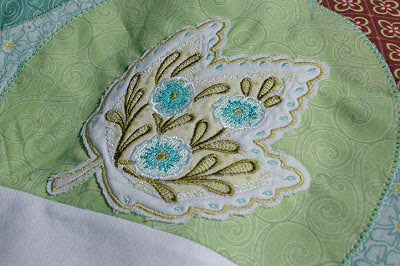 I love how you embroidered them, that is beautiful. thank you so much! 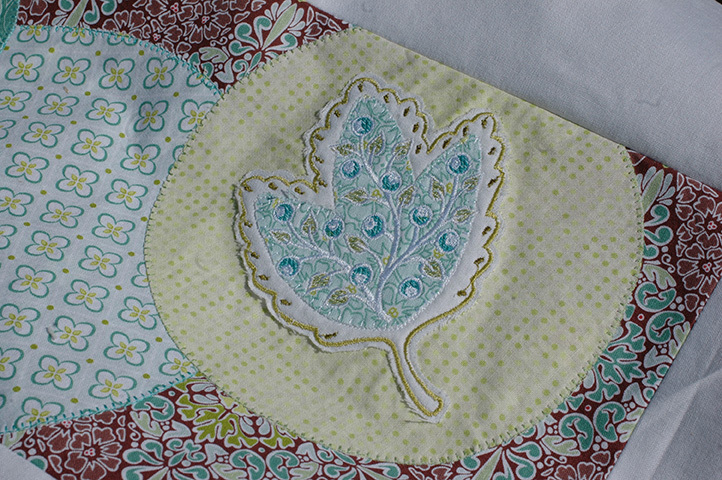 i am thrilled to have won your copy of 100 blocks #7 and will make a lollipop lollipop block with that beautiful bundle for my sampler quilt. Congratulations to Rita in Alaska. And I love these flowers they are very beautiful.